A Medical Power of Attorney is a legal document that appoints a trusted adult to make health care decisions for you when you cannot. With a Medical Power of Attorney, you ensure that your wishes regarding medical treatment are followed. This is accomplished by naming an advocate to represent your best interests in the event that you cannot make medical decisions for yourself. 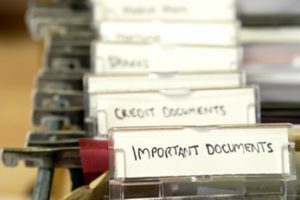 A San Antonio Estate Planning Attorney at the Law Office of Brandon S. Glosson can assist you with the preparation of a Texas Medical Power of Attorney, as well as other key estate planning documents such as a Will, Trust, Durable Power of Attorney, Living Will, and Final Disposition Instructions. Please contact us today to schedule an appointment. “the ability, based on reasonable medical judgment, to understand and appreciate the nature and consequences of a treatment decision, including the significant benefits and harms of and reasonable alternatives to a proposed treatment decision.” Texas Health and Safety Code §166.002(4). This may occur, for example, if you are in a coma, are under anesthesia, or are suffering from a mental illness such as Alzheimer's. You will still make medical decisions for yourself as long as you are capable of doing so. However, in the event that you are unable to make medical decisions for yourself, a Medical Power of Attorney will help ensure that your wishes concerning health care decisions are followed. 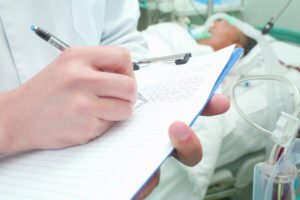 Physicians are required to either comply with your agent's instructions under a valid Medical Power of Attorney or allow transfer of your care to another physician. You can limit the authority you give your agent under a Medical Power of Attorney. For example, you may instruct your agent to not consent to life-sustaining treatment if you are likely to remain in a coma, to not consent to blood transfusions, or to require a vegetarian diet. If your agent is aware of specific wishes, religious beliefs, or moral beliefs, your agent is required to act in accordance with those. Otherwise, your agent must act based on his or her assessment of your best interests. By law, your agent cannot to consent to certain things. These include voluntary inpatient mental health services, convulsive treatment, psychosurgery, and abortion. The person you appoint as your agent under a Medical Power of Attorney must be competent and at least 18 years of age (or have had the disabilities of minority removed). You may not appoint a health or residential care provider, or an employee of a health or residential care provider, if they are to remain your health or residential care provider. Someone You Can Speak Openly With. Your agent needs to have a good understanding of your wishes and beliefs concerning health care. It is usually best to choose someone with whom you will be comfortable discussing important health care decisions. Listens Well and Asks Questions. The agent you appoint under your Medical Power of Attorney will need to gather and assess relevant information when considering a proposed health care decision. To fully understand your wishes and your health care issues, your agent will need to be able to listen well and ask questions of both you and your health care providers. Balance Risks and Rewards of Proposed Health Care Options. Most health care decisions involve some degree of risk as well as the potential for improving medical outcomes. When making health care decisions on your behalf, your agent will need to balance the potential risks against the potential rewards of a proposed course of action. Act Assertively on Your Behalf. While acting on your behalf, your agent may face conflicting opinions from family, friends, and medical providers. In addition, your agent may discover that your needs are being neglected. Your agent must be able to stand up to conflicting opinions and act assertively with your best interests in mind. Local. Your agent under your Medical Power of Attorney may need to accompany you to appointments, visit facilities to assess their quality and ability to meet your needs, or speak in person with your health care providers. To carry out these tasks effectively, it is usually best to choose an agent who lives nearby or who can spend time in your area when the need arises without undue sacrifice. Keeping these qualities in mind when selecting an agent to act under your Medical Power of Attorney will make it easier to select the right person for the job. Once your Medical Power of Attorney is prepared, give copies of the document to your doctor and to the agent you appoint under your Medical Power of Attorney. Keep a copy in a safe place with your important papers. Conduct periodic discussions with the agent you have selected. These discussions should include your current wishes and beliefs concerning health care, as well as any major changes regarding your health. If you have any serious medical procedures scheduled, let your agent know and confirm that he or she will be available, if needed. In addition, periodically assess whether the agent that you have appointed is still the best person for the job. 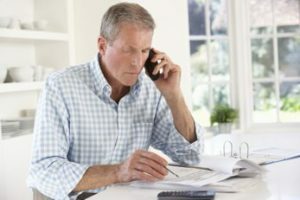 If your agent moves, declines in health, or if friction develops between you and your agent, it is time to reassess who should be your agent under your Medical Power of Attorney. 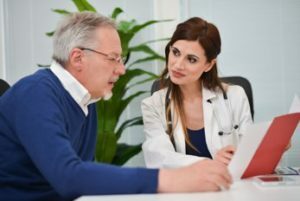 A Medical Power of Attorney that appoints an agent to make health care decisions for you if you cannot is an important element of every estate plan. Please schedule an appointment with an estate planning attorney at the Law Office of Brandon S. Glosson today to get started with your estate plan or to add a Medical Power of Attorney to an existing plan.